Have you ever had petioles develop this kind of damage from the sharp edges of your pots? 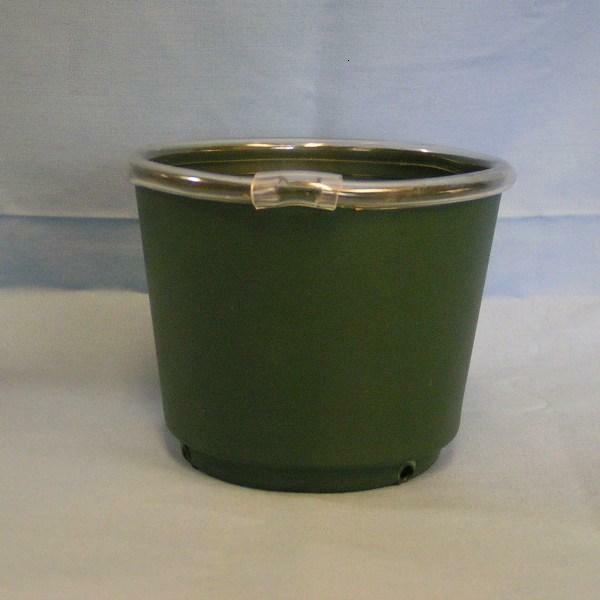 You can fit a piece of split tubing over the pot rim, but if you've ever tried to split tubing with a knife or scissors, you know it’s difficult! 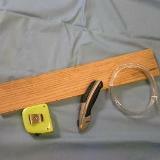 Following is a way to create a jig for cutting a straight line in a section of tubing perfect for the pot edge. Woodworking skill is needed! One - 20 inch section of 1x4 board. 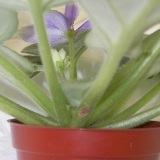 A shorter board could be used for violet pots, but the extra length is not a hindrance. Cut a groove down the length of the board with a table saw (or router) set to a cutting depth of about 1/8 inch. Pass the board over the blade until the groove width is slightly less than ¼ inch wide. The ¼ inch tubing should fit snugly in the groove. Slit the tubing lengthwise and remove it from the board. Your tubing is now ready to be slipped over your pot and adjusted for fit. The extra ½ inch section can be placed over the two joining ends. Hint: If your tubing is stiff from being stored in cool temps, a short soak in really warm water after it's been cut will make it more pliable. It's easier to cut when stiff, but easier to put on the pot when softened a bit. Hurray! No more iccky petiole scars!